Planning to travel with kids on a DFDS ferry soon? Find out what's available for the little ones on-board. Travelling to Europe on a DFDS ferry with your children is a breeze, making the possibility of a quick weekend break to Amsterdam or a short break to France that little bit easier. 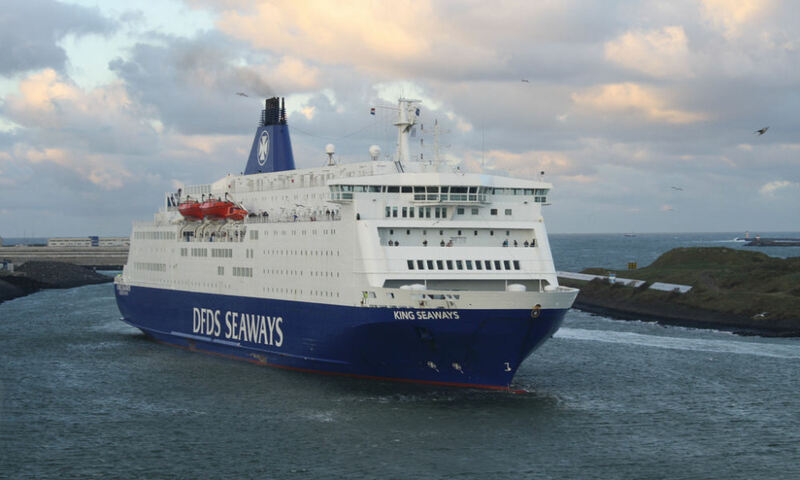 All DFDS ferry routes from the UK to Europe provide facilities on-board to cater for families. Services from Dover to Calais and Dunkirk, and from Newhaven to Dieppe, have less to do on-board than on the Newcastle and Amsterdam crossing due to the shorter crossing times. Even so when you sail from Dover you will still find enough to keep everyone happy. Feed the nippers with a range of hot and cold meals in the cafés and self-service restaurants. The restaurants provide a child friendly menu, so there should be something to suit everyone no matter how fussy they are. On the short crossings children under six years of age have access to a fun play area although a height restriction of one metre may also apply - bad news if your child is tall for their age. The longer four-hour Newhaven to Dieppe crossing also offers children opportunities to play video games or watch cartoons. WiFi is also available for a small fee which is very handy if you are taking tablet computers along with you. You can find out more about what's on-board the Dover to Calais/Dunkirk route here ° and what's on-board the Newhaven to Dieppe route here °. Newcastle sailings have a far wider range of facilities and dining options available to families, which will cater for children of all ages. As well as cafés, King Seaways and Princess Seaways have a choice of four restaurants on-board - Blue Riband ° (a contemporary à la carte restaurant), Explorer's Steakhouse °, Little Italy ° (an Italian themed restaurant) and 7 Seas Restaurant ° (buffet). Blue Riband and Explorer's Steakhouse both offer a range of meals on a children's menu. Children between the ages of four and 11 years can eat for half price at Little Italy. 7 Seas buffet restaurant arguably offers the most choice and flexibility with up to 80 different dishes served every evening. Children aged 12 and under can eat for 45% less while infants aged under three can eat for free. Younger children on board can be kept entertained with the Kidz Club °, a play room for children aged between four and eight years old, where they can enjoy playing around in a ball pool, watching cartoons, and express their creative sides at the drawing tables. On selected sailings (usually during the school holidays) a children’s entertainer will be present ° in the Pirates Club along with their mascot Jack the Pirate. The children's entertainer will lead fun activities including treasure hunts, drawing competitions and a variety of games. Circus skills, face painting and a mini disco may also be offered. For older children and teenagers there is a games room with video games to keep them entertained and give them their own space. All the family will enjoy the on-board cinemas and film lounges, albeit at a small charge. Kings Seaways has two cinemas and Princess Seaways has two smaller film lounges. All of these venues show a range of films suitable for children of all ages, including the latest blockbuster movies. Activities are also organised for the whole family to enjoy, including a classic favourite, family bingo. Failing that WiFi is available in selected areas on each ship. King Seaways is also home to a Wildlife Watching Experience on selected dates between April and September in association with the whale and dolphin charity ORCA. The wildlife centre on-board offers educational activities for the children, and they learn facts about the animals they may spot as they look out to sea with a telescope. You may also wish to bring your own binoculars. In terms of accommodation there's a selection of family-friendly cabins to choose from, with some accommodating up to five passengers. Standard Inside cabins are among the most basic, Sea View cabins offer a view out across the North Sea, and Commodore De Luxe is the way to travel in style. If you are travelling with babies or toddlers bear in mind that under Danish law travel cots are not permitted on-board. DFDS does allow children under three years old to share a bed with an adult free of charge. If you would rather they had their own bed then this would be charged at a standard child rate. You can find out more about what's on-board the Newcastle to Ijmuiden (Amsterdam) route here °. To whet your appetite for a short family break to the continent DFDS has put together a selection of videos of family holidays to Amsterdam, the Dutch coast, Amsterdam Zoo, Paris, and Belgium.